Enjoy our AAA Travel Insurance Review. Many members would like to know whether AAA Travel Insurance offers good value. The short answer is no. AAA Comprehensive Trip Insurance is expensive, and has very weak travel medical benefits. Some of our staff, like millions of Americans, are happy AAA members. 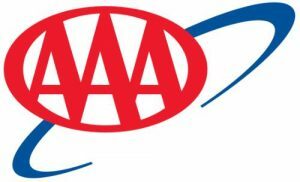 Even if not taking advantage of the traditional breakdown service that AAA offers, the other AAA benefits themselves are often enough to justify the annual premium. That’s a $1,000 saving. Thank goodness he did not buy AAA Travel Insurance. A further review of AAA trip insurance led us to understand why our customer was able to save so much money through our site. 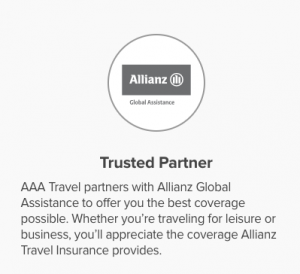 In the AAA Trip Insurance section of its website, AAA states that Allianz Global Assistance makes it easy to compare cover plans. However, the only comparison that an AAA Trip Insurance customer gets is of Allianz products. Let’s see why this is not a great idea. AAA offers a number of different travel policy types through its relationship with Allianz. Briefly, let us cover Allianz itself. Allianz Global Assistance is part of the Allianz Group. Allianz is one of the world’s largest insurers. Its Global Assistance team is one of the most respected in the travel insurance industry. So, in terms of AAA partnering with a stable insurer, its relationship with Allianz makes sense. The challenge for customers always seems to come down to cost and cover. Whenever we look at the rate structure that Allianz provides in its insurance quotes, we are always surprised how expensive it can be. There is no doubt that Allianz has one of the strongest insurance ratings in the global insurance market. But, many other insurers have equally strong balance sheets and experience, yet offer lower-price insurance policies with enhanced benefits. Many US airlines also incorporate Allianz Flight Insurance as part of their own check-out procedure. Again, we have shown over the years that these insurances tend to be over-priced and under-covered. There does seem to be a broad trend here. Any AAA Travel Insurance Review is going to end up being a review of both AAA and of Allianz. Expect high prices and less than average cover. AAA Travel Insurance can be broadly split into Rental, Annual, and Trip Protection products. The vast majority of people who are interested in AAA Trip Insurance will be searching for Single Trip Protection. 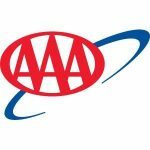 AAA offers four different plans for customers – Essential, Family Care, Basic and Deluxe. Designed for a domestic traveler looking for cancellation and trip interruption coverage but not interested in post-departure benefits. It is AAA’s lowest-priced plan. It has no medical cover or evacuation benefits. There are no baggage cover benefits for loss or delay. Doubles most post-departure coverage of Family Care – kids aged 17 & under are covered for free. $25k in Emergency Dental and Medical cover. We just don’t think that this is enough for most people. Our recommended minimum level of cover is $100k. $500k in Emergency Medical Transportation. This is a good level of cover. Anything over $100k is good for most near-shore international recovery home. $250k would be a more suitable maximum amount of cover for a long-range medical evacuation. For travelers who prefer affordable cover, including trip cancellation and lost/damaged baggage benefits. This is great for weekend getaways and overnight trips. $10k in Emergency Dental and Medical cover. We just don’t think that this is enough for most people. For domestic travel, this may be enough, if home health insurance can help out. It is critical that a traveler refers to their own home health insurance documentation. 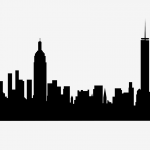 Out-of-state cover can be incredibly weak, leaving a traveler with high potential medical costs. $50k in Emergency Medical Transportation. This is probably sufficient for travel within the USA, but we would not be comfortable with this level of cover for international destinations. Insurance, assistance and concierge services with highest levels of coverage is how AAA and Allianz introduce this cover. We think that this is highly optimistic. The insurance cover levels are weak in comparison with the most modest policies that other insurers offer. $50k in Emergency Dental and Medical cover. We would always recommend that at least $100k of medical cover is preferable. Hospitals can often charge in excess of $4k per day. $50k in medical cover flies past pretty quickly in the event of a serious injury. $1m in Emergency Medical Transportation – this is incredibly high cover. We would prefer to see less benefit for evacuation and more for medical cover. The most expensive medical transportation case that we have seen came in at $250k. This involved a large private jet flying from Africa back to the USA with an attending medical team. Whilst it is possible to spend more than this, it seems highly unlikely to be relevant to most travelers. Sometimes higher levels of cover are not strictly very useful. In this case, $1m is nice, but not necessary. When making a review of AAA Trip Insurance we need to look at cost. It is a little difficult to compare precisely, because very few trip protection specialists offer such little medical coverage as AAA does. The iTI Lite policy is the least expensive policy that iTravelInsured offers. It is a very popular trip protection plan. 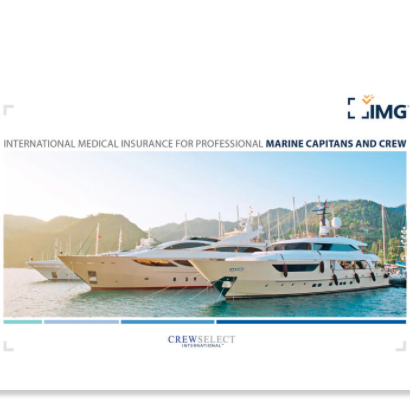 With $250k in Medical Evacuation and $100k in Travel Medical Sickness cover, the iTI Lite policy has robust benefits. Yet it is under half the price of the AAA Deluxe policy. The iTI Lite policy has twice the travel medical insurance cover of AAA Deluxe. Our iTI policy is less than half the price of AAA, with double the medical benefit. We think that AAA is a great organization. But, AAA Travel Insurance is expensive and has weak cover in critical areas. 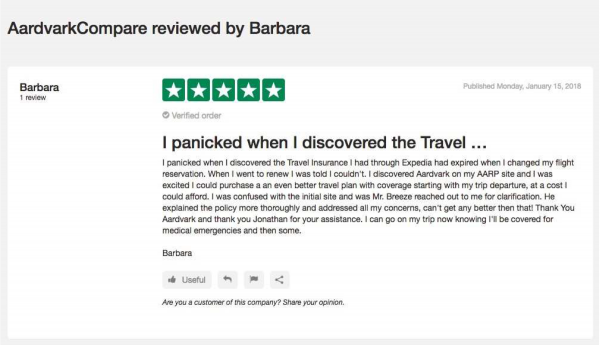 A simple search will allow customers to compare their options before they buy AAA Trip Insurance. We are pretty confident that two minutes with us will get a customer much better cover at significantly improved pricing. 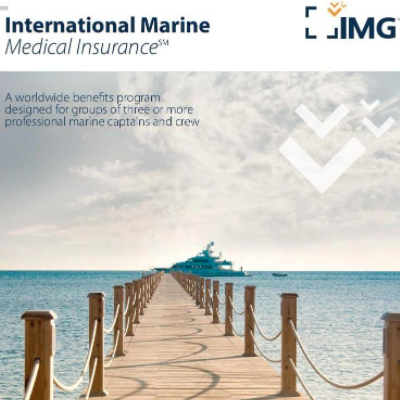 Remember that our Travel Insurance Carriers are some of the most respected in the USA. All have at least an ‘A’ rating from A.M. Best. All have excellent, highly reputable, customer service. 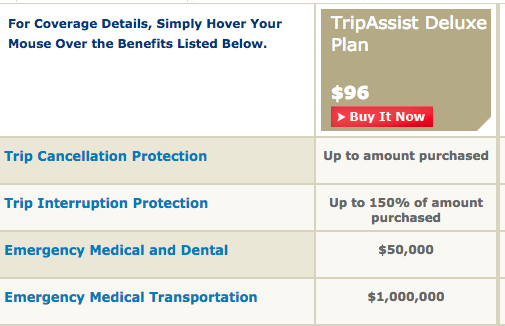 $96 for $50k of Travel Medical Insurance cover from AAA. Or, $38 for $100k of Medical Cover from iTI. Surely, not a difficult choice. Incidentally, our suggestion to shop around and look for better rates with more comprehensive trip insurance protection is not an original idea. AARP provides exactly this guidance to its members. Rental Car Damage Protector provides primary cover for collision, loss and damage, along with 24-hour emergency assistance, for $9 per day. It offers $40k in Collision/Loss Damage Insurance. Do remember to check whether you need this type of cover at all. The majority of US credit cards already have some form of secondary auto rental coverage. There are a small number that offer primary. The coverage is Primary. 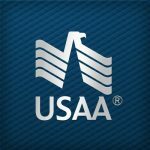 This means that AAA Rental Car Protection will take responsibility for payments. Note the following important pieces of small print. Why are these two points important? AAA Rental Car Protection has a maximum benefit of $40,000. If a customer were to rent a car worth more than $40,000, he could find himself with a significant cover gap. Car is rented in Jamaica, Israel, Republic of Ireland, Northern Ireland. There is a loss associated with use of alcohol or drugs. Vehicle is a Truck, Camper, Motorbike, RV. Car has an original recommended retail price in excess of $75,000. Our recommendation, prior to taking AAA Rental Car Protection, is to check current cover levels. Check your personal auto policy in order to see what cover is transferable. Check to see if any of your credit cards have cover that is appropriate. And finally, check with the car rental company to see if your AAA membership gives increased cover from the rental company. 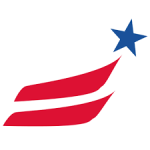 AAA Trip Insurance offers two different annual travel plans, Annual Deluxe and Annual Executive. 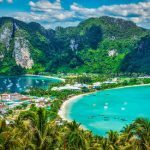 The biggest drawback with annual travel insurance plans is that the levels of cover tend to be lower than most people need. AAA Deluxe has only $20k of Emergency Medical cover, which is not substantial. The AAA Executive Plan has only $500 – five hundred dollars – of cover. We have never seen such low amounts on a travel medical plan. This is OK for travelers who have certainty that their own personal health insurance will cover them, but totally inappropriate if not. We think that this is a reasonably comprehensive set of covered reasons. Importantly, you need to contact your travel suppliers within 72 hours of cancelling or interrupting your trip to qualify for the largest reimbursement possible. If you notify your suppliers later and get a smaller refund, AAA Deluxe Annual will not cover the difference. If you’re seriously ill or injured, contact your travel suppliers as soon as you can. Embedded with the AAA Deluxe Annual Travel Plan is decent cover for those who use rental cars. It has a similar group of exclusions as the AAA Rental Car Protection plan that we have already covered above. It’s easy to see that a person who takes frequent short trips, and often uses a rental car, may find an annual plan attractive. Certainly, this type of plan should be considered, in our opinion. Certain benefits that are meant to exist within the Annual Deluxe Plan are not reflected in the policy document. This seems to be an issue with Allianz’s partner website, as Allianz insists that its main site produces accurate certificates. We strongly recommend that travelers click the Certificate of Insurance/Policy link from the AAA / Allianz page in order to confirm benefits. Upon review, neither Emergency Medical nor Medical Transportation was adequately referred to in the AAA policy document. We find this lack of attention to detail a little troubling. 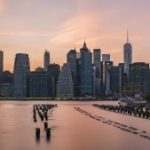 We have always advocated that it pays to shop around and that customers should be wary when buying travel insurance policies from places like Expedia or any of the airline websites. We were surprised to find that AAA had travel insurance available that was not competitive with the general market. The assumption that members would make is that they are going to get great value because of their membership. Not so, it seems. However, it seems that many membership organizations use their ‘offers’ to members to help generate high levels of revenue for themselves. The loser in all this is the AAA member. This is why it is essential to shop around. It takes no more than a couple of minutes to check if you are being offered good value for money from AAA. Aardvark does not charge a cent for you to check trip protection prices. None of your personal information is shared with any of the insurance carriers during a quote with us.